Hi, I am interested in your 2018 Dutchmen Aerolite listed on Autotrader. I'd like to get more information about this vehicle and confirm its availability. 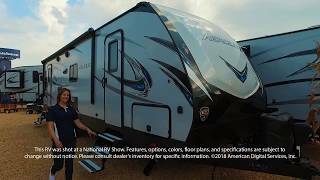 2018 DUTCHMEN AEROLITE 2933RL NEW TRAVEL TRAILER FOR SALE IN EAST TEXAS. CALL 855-235-0291 FOR A GREAT OUTDOOR RV CENTER SALE PRICE.